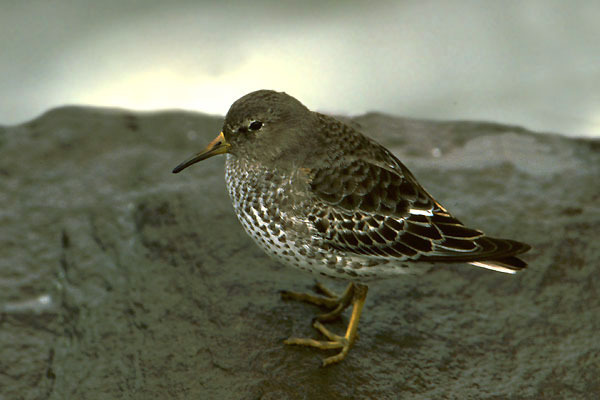 The Pacific equivalent of our Purple Sandpiper, with a fairly restricted range, breeding only in W. Alaska, E. Siberia and islands between e.g. Pribilofs, Kurils. Many winter on the west coast of the United States, becoming less common as you travel south. 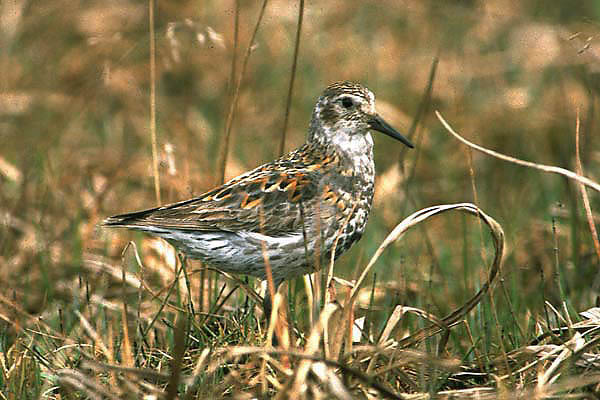 The winter plumage bird was photographed in Washington state, and the breeding bird, a different race, on the Kommanders. As can be seen the non-breeder is very similar to Purple Sandpiper, as are some races in breeding plumage.